Sun + shadows + pipe + downspout = one more cross at this ancient church. 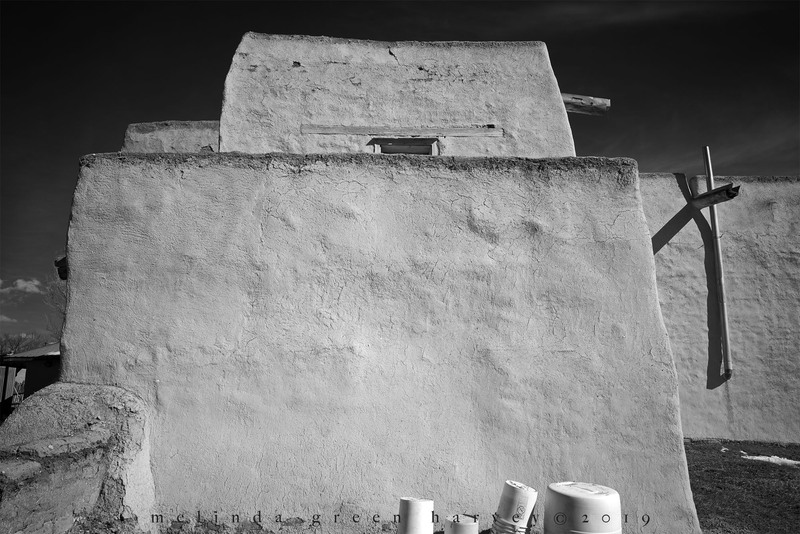 Posted on March 29, 2019, in Photography and tagged 365 photo project, black and white photography, church, Las Trampas, learning to see, Leica, melinda green harvey, monochrome, new mexico, one day one image, photo a day, photography, postaday, road trip, San José de Gracia Church, take time to look, thoughtful seeing, travel photography. Bookmark the permalink. 4 Comments. Thanks David. Finding things like this bring me a great deal of enjoyment! Thanks! I’ve photographed this old church many times, and this is one of my favorite images.